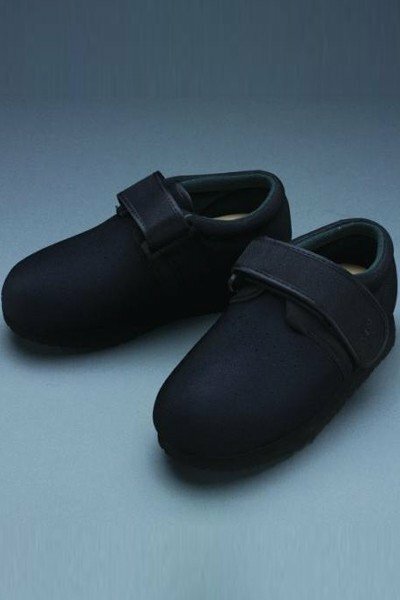 These adjustable hook & loop shoes feature a stretch Neoprene seamless upper that aids in reducing rubbing, abrasions, corns, calluses and ulcers. Oftentimes called diabetic shoes, these comfortable shoes can also benefit those with arthritis, ankle and foot edema, and poor circulation. The full-length EVA insole can be removed to accommodate custom orthotic inserts, or to allow additional depth in the foot-bed. Machine wash in cold water, gentle cycle and rack dry only. Whole sizes only. Extra wide width.